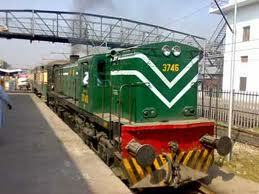 The General Manager Pakistan Railways, Junaid Qureshi, has promoted over 500 Special Ticket Examiners, Special Ticket Examiner Group Inspectors and Divisional Inspectors to the next grade. He signed the summary of promotion of the Railways employees on March 1 and the notification in this regard was also issued later in the day, sending a wave of delight among the staff. As per notification the Grade 11 Special Ticket Examiners have been promoted to Grade 14, Grade 12 Special Ticket Examiners Group Inspectors to Grade 15 and Grade 14 Divisional Inspectors to Grade 16. It may be mentioned here that a Special Ticket Examiner Mohammed Suleman had moved to court a couple of years ago seeking promotions which was allowed by the court with the order for carrying out the required promotions. However, the implementation of the court order was delayed because of ongoing financial crisis in the railway which led to protests and strike by railway employees. Meanwhile the leaders of Railway’s Special Ticket Examiners Group Association, Shahabuddin Lakho, Haji Naimuddin Abbasi, Abdul Majeed Abbasi, Syed Asif Ali Shah and Al-haj Liaquat Ali Khilji have expressed their gratitude to the GM Railway, Junaid Qureshi, and other senior railway officials for issuance of notification of their promotions having described the issuance of notification the victory of righteousness.